The Director-General of the Criminal Investigations Department, DCOP Maame Yaa Tiwaa, has disclosed that they have information about the whereabouts of the three kidnapped girls from Takoradi. Until today, the whereabouts of the young girls were unknown despite the Police having arrested a suspect in the case. Two of the ladies, 15-year old Priscilla Mantebea Koranchie and 18-year old Ruth Love Quayson went missing in December last year, whilst 21-year old Priscilla Blessing Bentum went missing as far back as August last year. After months of investigations, however, it appears the Police have finally made a breakthrough in the case. 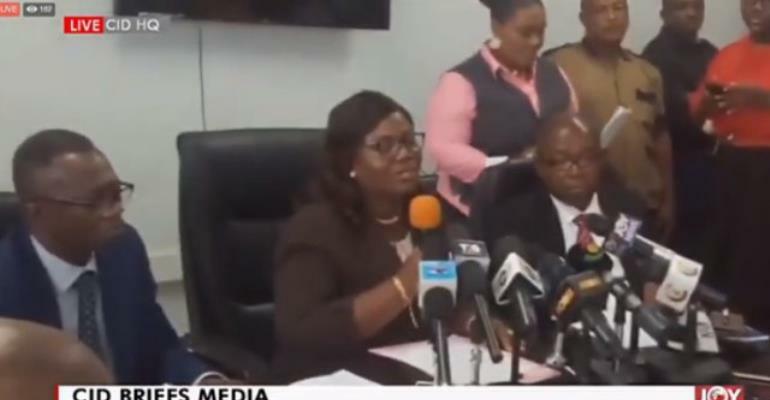 At a press conference in Accra today, April 2nd, 2019, the Ghana Police Service has indicated that they are getting closer to bringing home the 3 missing girls. Speaking on behalf of the CID, DCOP Maame Yaa Tiwaa Addo-Dankwah confirmed: “We know where the girls are”. They are therefore appealing to the families of the 3 girls to remain calm as they take steps to safely return their daughters to them. Meanwhile, unconfirmed reports suggest the victims are currently in a foreign country. Information which backs the long term theory of the case being associated with child trafficking. The main suspect in the case, Samuel Udoetuk Wills remains in the custody of the Police assisting in investigations. The last time he appeared in court was on March 4, 2019, where he was assaulted.